We provide Umbraco CMS development service using MVC with Umbraco as a framework to global clients. Reasons to go with Umbraco development includes. 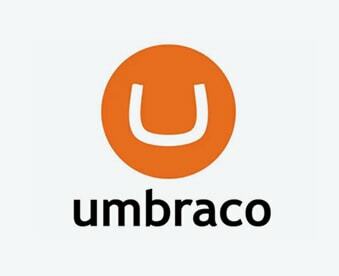 Umbraco is an open source web content management systems built on Microsoft’s .NET technology stack. Being an affordable, highly secure and customizable solution for setting up business websites, we make use of this popular platform for Web & Mobile apps development. Our team of highly experienced Umbraco CMS Developers deliver end-to-end solutions for enterprise-scale websites. With enough expertise in diverse aspects of CMS we do install, migrate and upgrade to development, design, and maintenance. We devise creative, unique Umbraco CMS solutions that is compatible with all modern browsers and platforms. This secure & scalable content management system with immense capabilities has helped a range of organization across the world to get the most out of their website . Adoption to this trending open source ASP.Net CMS platform helps businesses to manage their web assets from one place. We build Content Management System websites using MVC with Umbraco as a framework. We offer the services on the Umbraco CMS platform to our offshore clients. Our expertise in .NET Framework makes us the most reliable offshore development partner in India for Umbraco CMS Development. To Talk to our Umbraco CMS development team, hire our expert team of Umbraco developers drop a line about your CMS project requirements. We will help you implement Umbraco CMS & enjoy plenty of benefits.